What's Going On with the Birds? We often call the solstice "Midsummer," but it's actually only the beginning. August 1st is – strictly speaking – Midsummer. So what's going on in the bird world now? Like the week in Lake Wobegon, it's been mostly quiet. For the most part, the birds have stopped singing. No longer are we awakened at 4AM by the dawn chorus. This is the time of year when a lot of birds begin to look shabby. Crows are missing feathers, and male Mallards look almost like females. [Listen to Male Mallards Disappear] Northern Cardinals and Blue Jays can be positively bald! 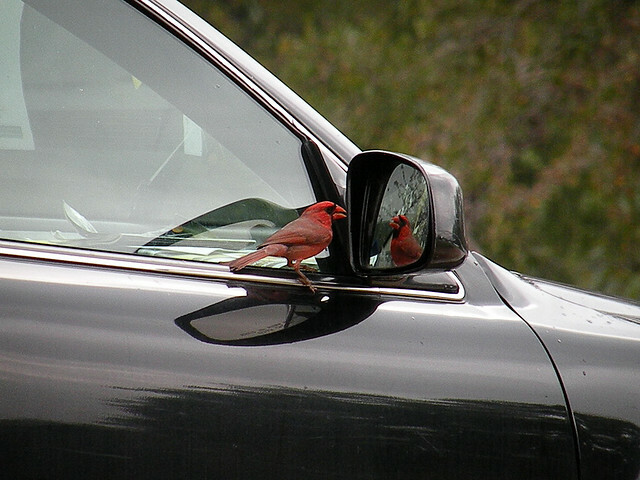 Cardinals are probably the most disturbing, because ... well, check this out. Young raptors – those owls, hawks, and falcons – are learning to hunt for themselves. 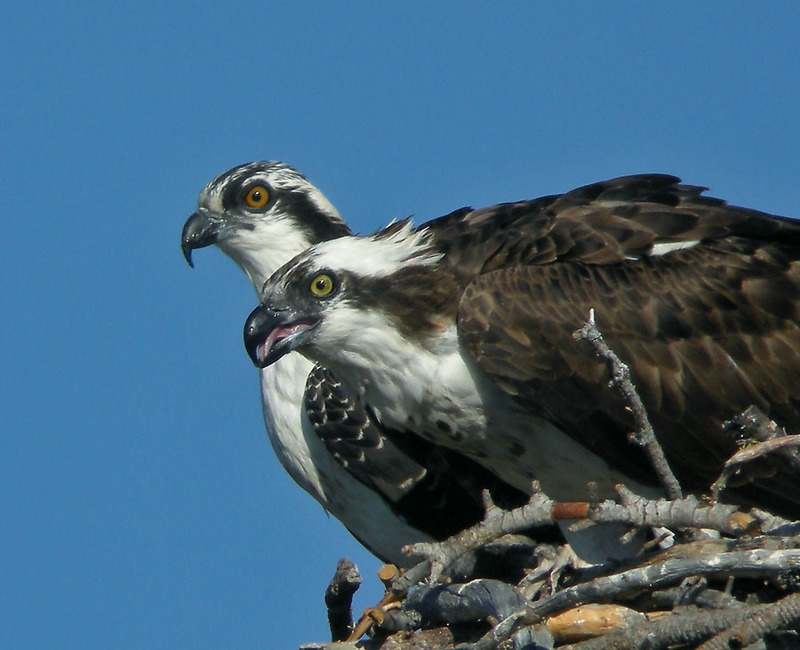 [Listen to a show about a Great Horned Owl family] Osprey juveniles also hang around with their parents for a while. Happily, many migratory birds will remain for a while longer. So what's the best time of day to look for them? 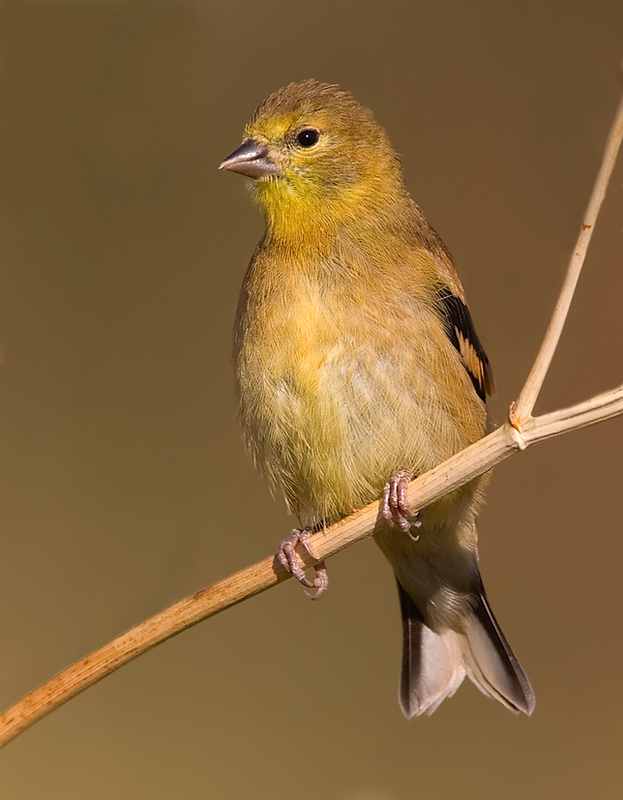 Generally, songbirds are most active in the early morning, taking advantage of the abundance of insects at that hour. Mid-day heat sends people inside, and birds take a siesta, too. And then, both birds and bugs rev up again in the late afternoon. You'll see hummingbirds throughout the day – they must feed constantly to maintain that speedy metabolism. Gulls and those opportunistic crows stay busy, too. 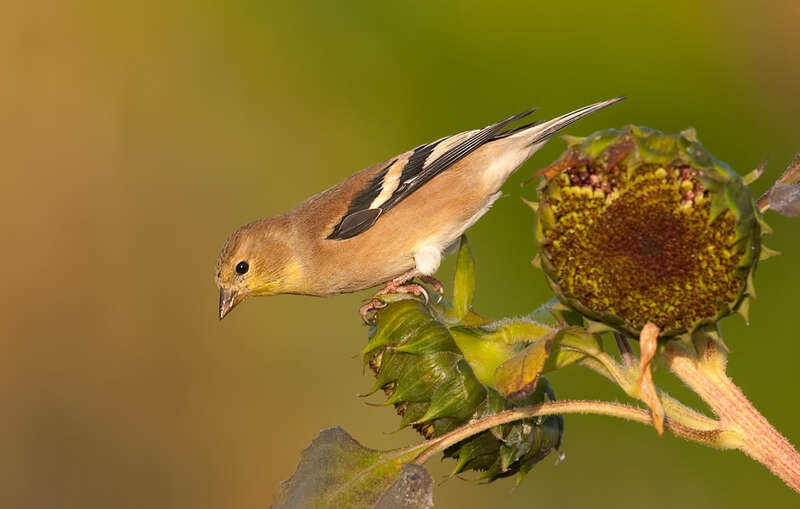 What Can We Do for Birds in Summer? In some parts of the country, summer can be quite dry. With global climate change, droughts are becoming more frequent. Natural sources of water have dried up. Creeks run low or underground. Rain is scarce, and temporary puddles are gone. And birds need water – to bathe and to drink. A clean bath with sloping sides is a great way to start. Be sure to hose it out every day, otherwise the water will become stale and dirty, and mosquitoes may lay their eggs. 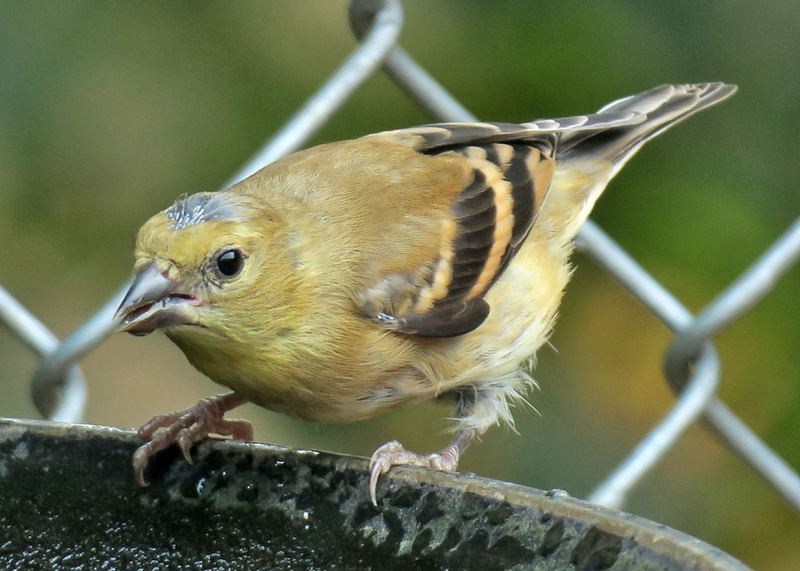 OK, it's a fact: birds poop in their baths. 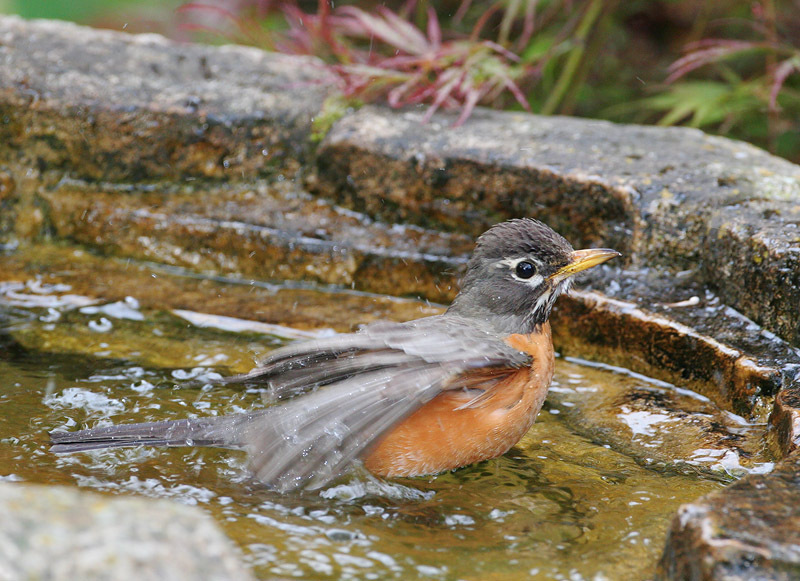 And a robin taking a bath can splash out half the water in one go. On a hot day, you may find yourself on hose patrol, but the birds will love you for it. Want to really spoil your birds? Put out a mister, and watch the smaller birds – including chickadees, nuthatches, warblers, and especially hummingbirds – flit in and out. [Listen to A Magical Warbler Moment and You Need a Mister!] That's your special treat for extending a hand to these tiny creatures. The story, How Birds Stay Cool, can tell you more. This field note first appeared as a column on AWayToGarden.com, a collaboration with Margaret Roach.